On April 16, it was hold the 5th. plenary meeting of MOOC-Maker partners in Universidade Aberta in Lisbon, Portugal. 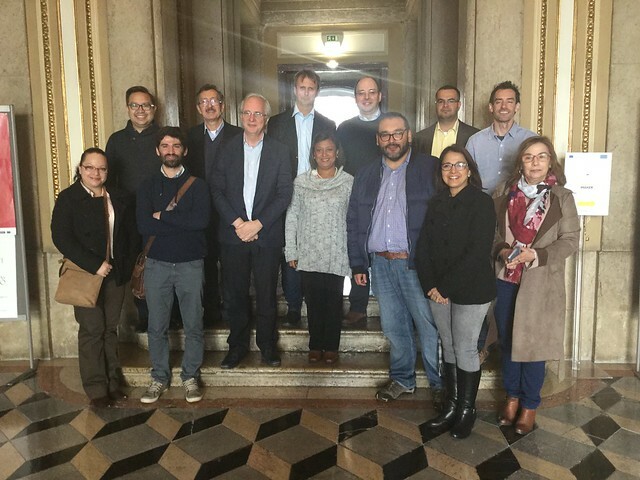 Representatives of European and Latin American universities of the consortium participated on it, and they presented the advances that have had during the first half of the year, as well as the next actions be carried out to successfully complete the project in October 2018. Additionally, committees were organized to support the 2nd. MOOC-Maker International Conference to be organized by Fundación Universitaria Católica del Norte in Medellín, Colombia.